Since 1934, Annalee has been designing heartfelt dolls that spread smiles and joy! Shop our Everyday Collection for one-of-a-kind gifts that celebrate special occasions all year round! From graduations to baby showers and weddings, Annalee has the perfect something to share memories and milestones with family and friends. Shopping for a bridal shower, wedding or anniversary gift? 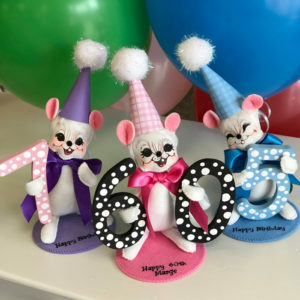 Annalee has a collection of special dolls perfect for your next celebration! We have no doubt that these collectibles will be a great reminder of happy memories and occasions for decades to come. For a limited time only, take advantage of 99¢ personalization! Create a one of a kind gift by adding a personalized base with a special message! Choose from five different colors bases and add up to two lines of text and 48 characters to customize your gift or keepsake. Spread cheer for years to come with our commemorative dolls and customization options. 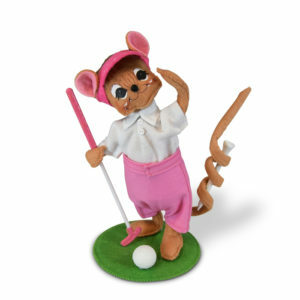 Whether you are thanking your favorite teacher, doctor, service member or hero, Annalee has the mouse for the job! These dolls are a perfect accent to any office or windowsill and offer a great reminder of heartfelt appreciation.